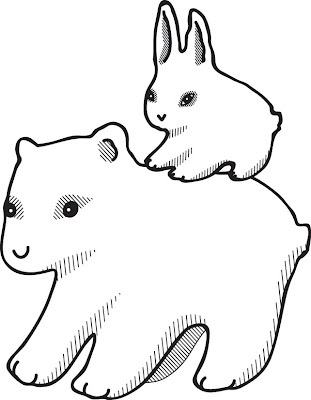 This is a logo I made for a line of children's travel-friendly blankets called "the Bunny and the Bear". These little creatures are sentimental to me - I used to (and still sometimes do) draw M notes of encouragement with the bunny on it. Maybe in another life I was a little anime-esque bunny too... The intent here was to create an image that could be made into a stamp for hand-made tags. There is also a logotype of the business name made from handwriting. Maybe I'll post that later!